We have 2 ponds, a feature fountain and an extensive rain water harvesting and irrigation scheme. We have a large variety of plants in the garden including a fine collection of David Austin roses. Many species of wild animals and insects visit the garden. The wild pond and wild flower meadow are strong attractions. Sit quietly in the summerhouse and watch a sparrow hawk drinking. Rose's garden - with Rose and roses. Included a show of unusual sculpture. The summer house is just one of the attractive places to relax and enjoy the view, the plants and the wild life. Welcome to Brook End Garden in the attractive village of Wymeswold in Leicestershire. The garden opens regularly for visitors in the months of May and June. 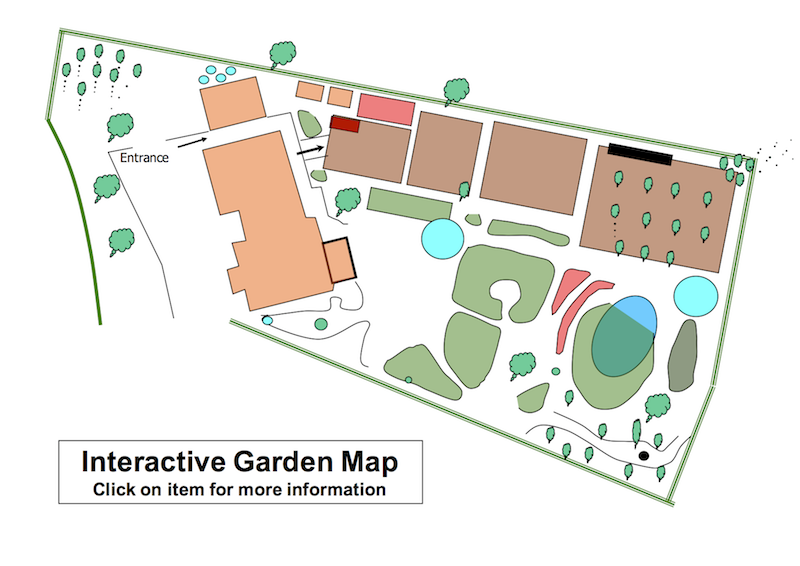 Please roam around the web site to get full details of the garden and to find out how to book a visit. We are having a year off open gardens in 2019 but do contact us for visits in 2020. ALL the money that we receive from visitors is donated to the NGS charities. Book now for a great morning, afternoon or evening visit in 2020.